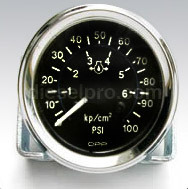 There are many applications for gauges in use with Detroit Diesel and Cummins engines. Some may be used by the operator to monitor fuel level, oil pressure, engine temperature and other critical factors that can influence the operation and condition of the engine. Others may be used by a mechanic who is servicing the engine, and they may be hidden from view or simply attached to the engine when it is being serviced. 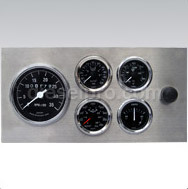 If you are shopping for new Detroit Diesel parts like gauges for your engine, you can easily find the parts you need when you shop online with Diesel Pro Power. 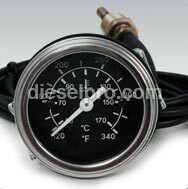 At Diesel Pro Power, we understand how important it is for you to find high-quality and reliable products like mechanical gauges for your engine. We also understand that not all of the components that are available in local stores may be high in quality or suitable for use with your specific engine. More than that, we are committed to helping owners, operators and mechanics alike find all of the parts they need for their engine projects. 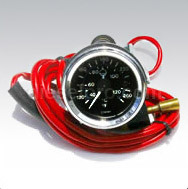 In fact, we carry an extensive selection of mechanical gauges for a wide range of needs, and this includes oil level gauges, fuel level gauges, voltmeters, ammeters, hourmeters and so many others. We are the largest online distributor for parts for Detroit Diesel and Cummins engines in the world, and we are well-known in the industry for keeping our parts in stock and ready to send out to our customers. With our affordable rates, our 24-hour shipping policy and our ability to ship our products around the world, we are your reliable resource for all types of gauges and for other Detroit Diesel replacement parts that you may be shopping for today. Place your first order with us today, and continue to use us for all of your parts needs.